Just Romantic Suspense: Cate Beauman is back with the sixth installment in her bestselling romantic suspense series. Cate Beauman is back with the sixth installment in her bestselling romantic suspense series. Cate Beauman is back with the sixth installment in her bestselling romantic suspense series, The Bodyguards of L.A. County. 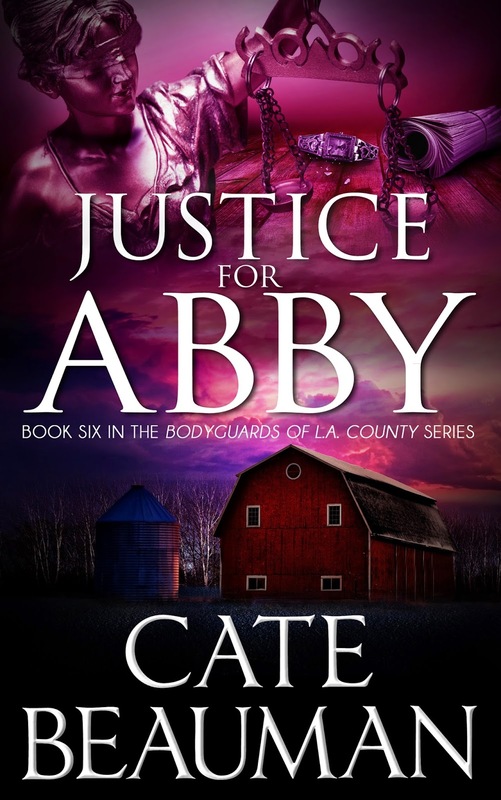 Justice For Abby is on sale now through Amazon, Barnes and Noble, and iTunes! Looking forward to starting this series. I'm reading Morgan's Hunter next week. My favorite crime show used to be Law and Order SVU but I don't really watch it that much anymore. I read more than I watch TV. I'm looking forward to reading Justice for Abby! It sounds awesome! Congrats on your newest book's release! My favorite Crime Show... hmmm, have not really watched any in recent years, but at times I watch reruns of NCIS. My favourite is Castle but I also like Criminal Minds and CSI. Looking forward to reading this book! My favorite crime show is Law & Order SVU. But I love Investigation Discovery and my TV is always on that channel. So many great crime shows! I have a degree in criminal justice, so it's something I've always been interested in. Thanks for the chance to win, this sounds like a really good series! My favorite crime show if the Following, NCIS, NCIS Los Angeles and Criminal Minds.